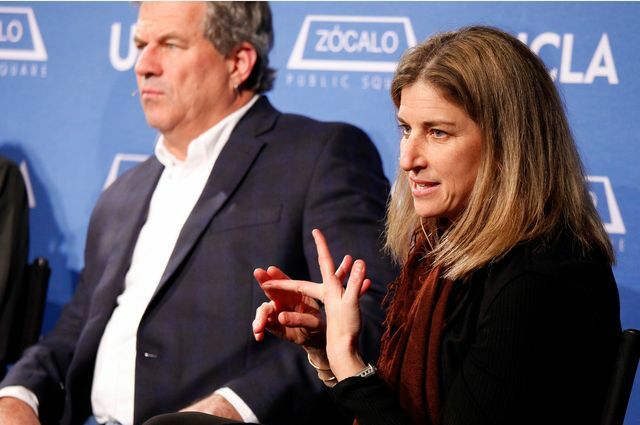 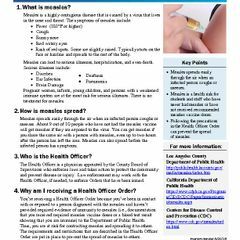 UCLA legal scholar and health policy expert Jill Horwitz participated in a Zócalo/UCLA panel examining causes and potential solutions of America's opioid addiction. 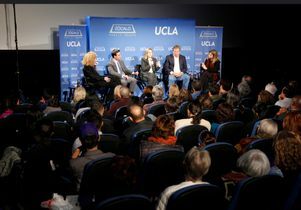 The roots of America’s widespread opioid addiction are complex and extend to the economy, bad medicine and corrupt pharmacists, said UCLA legal scholar and health policy expert JillHorwitz, who participated in a Zócalo/UCLA panel Wednesday, Nov. 30, examining the causes and potential solutions to the crisis that has claimed thousands of lives over the last 15 years. 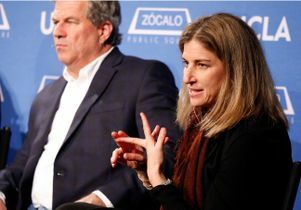 Horwitz told the audience gathered at the Downtown Independent that her research, including a paper she co-authored in the New England Journal of Medicine on opioid use among disabled adults, hasn’t found any evidence that legal interventions make a difference in stopping overuse. 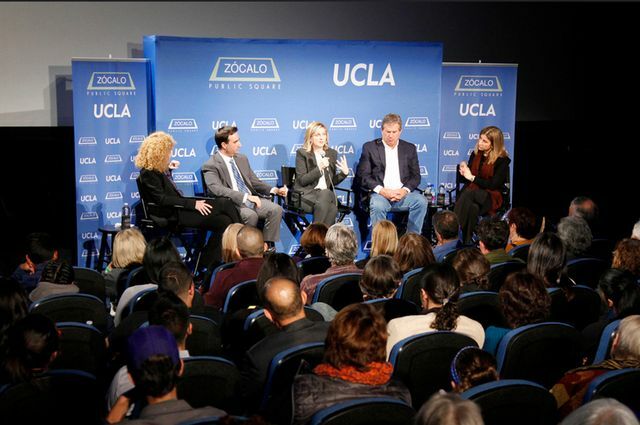 To read the complete story about Wednesday’s Zócalo/UCLA panel discussion, go here. 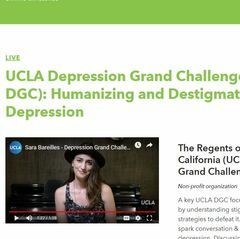 Larissa Mooney speaks to panel members and an audience gathered at Downtown Independent.